I began my own photography journey three years ago. I had a camera and a dream and that was about it. I didn’t know how to use my camera and didn’t know any other photographers in the area. So I opened up Instagram, scrolled through to find local photographers in my area, and slid into their DMs (fingers crossed) asking if they would meet with me for coffee. After getting some traction, I met up with some Austin girl bosses. They kindly shared with me their own journey, their successes and failures, and some even took me under their wings and showed me the ropes! I am forever grateful for the women who I have met and who have empowered me to chase my dreams. 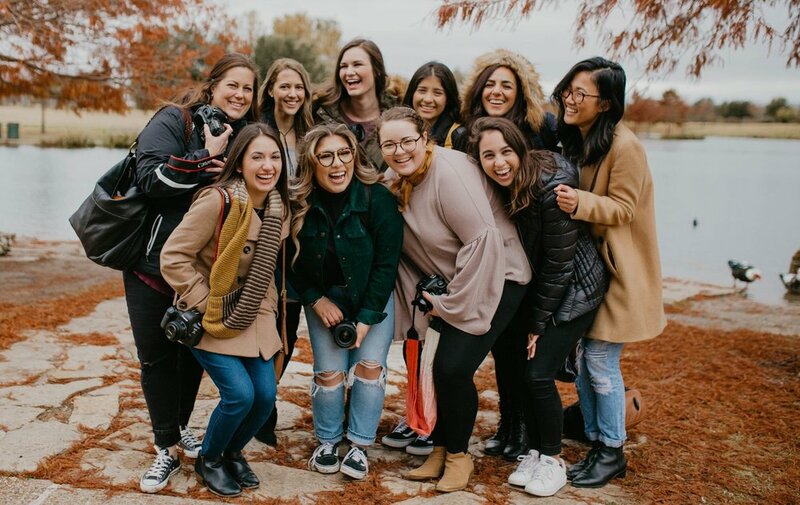 I wanted to help other photographers out there, so I decided to create a Facebook Community of female photographers who could connect, encourage, and learn alongside one another. The Creative Tribe isn’t about me. It’s about YOU! It’s for the gal who is looking to grow her business, meet new people, or be inspired. It’s for the gal who shoots on her iPhone or the top of the line camera or heck, anything in between! It’s for the girl who is looking to build community, create authentic friendships, and grow together with others. Let’s make some magic happen!